In the final Fiona was out in 1 under par 35 against Sheena's 39 to be 4 up at the turn. Sheena then birdied the 10th to get it back to 3 down, but had a bogey at the next to go back to 4 down. After wins at Machrihanish in 2006 and Fortrose and Rosemarkie in 2010, the St Rule player is toasting a treble after coming out on top at Blairgowrie. 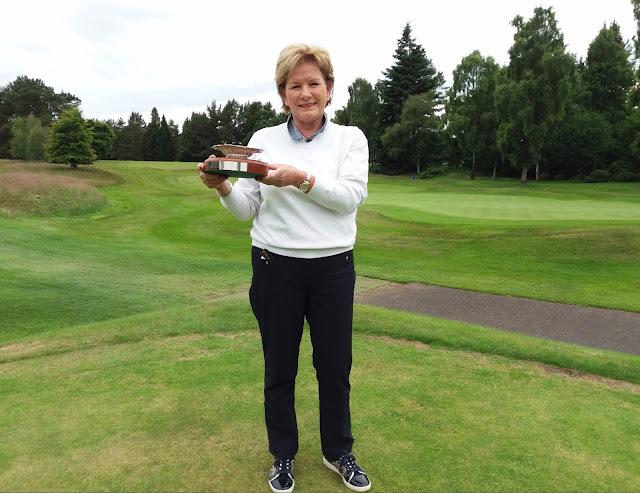 Defying difficult conditions the whole week at the Perthshire venue, the 62-year-old was in sparkling form as she claimed final glory with a 5 and 4 win over defending champion Sheena Wood from Aberdeen Ladies. 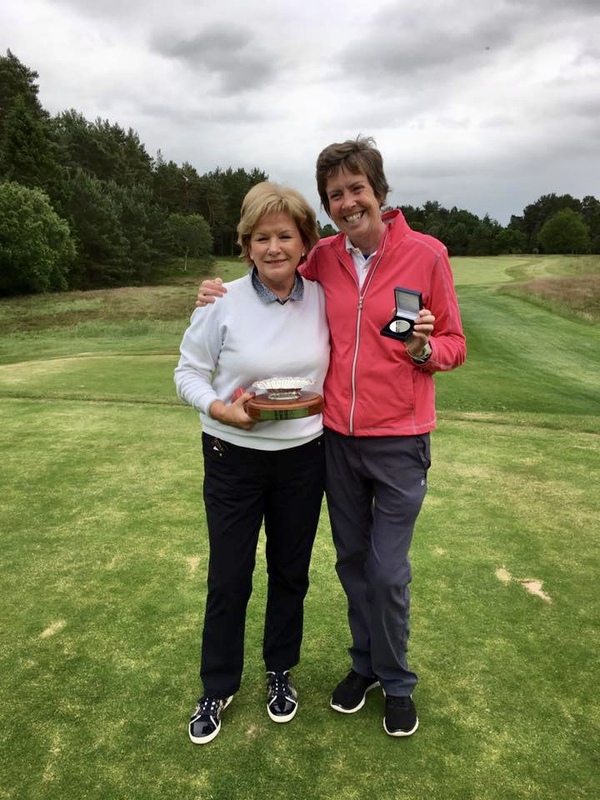 De Vries was two under par for her 14 holes as she continued her form on the ‘fantastic, slick greens’ on the Rosemount Course to triumph in the over-50s event. 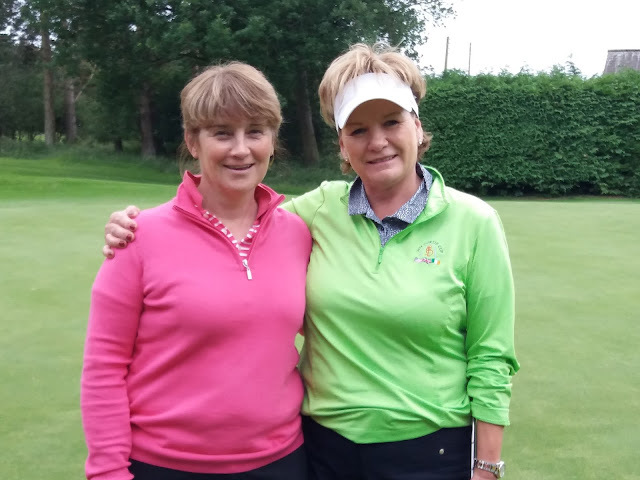 In the nett match-play, there was a home win to toast as Gillian Wallace from the host club beat England’s Sue Holwell (Lingdale) by two holes.